Please click the link below to see pictures of the fabulous backdrops and Ron’s story. God has given Ron many talents. Illustrations is one. He is a husband, father, professor, fabulous painter, illustrator, writer and friend. Congratulations, Ron! 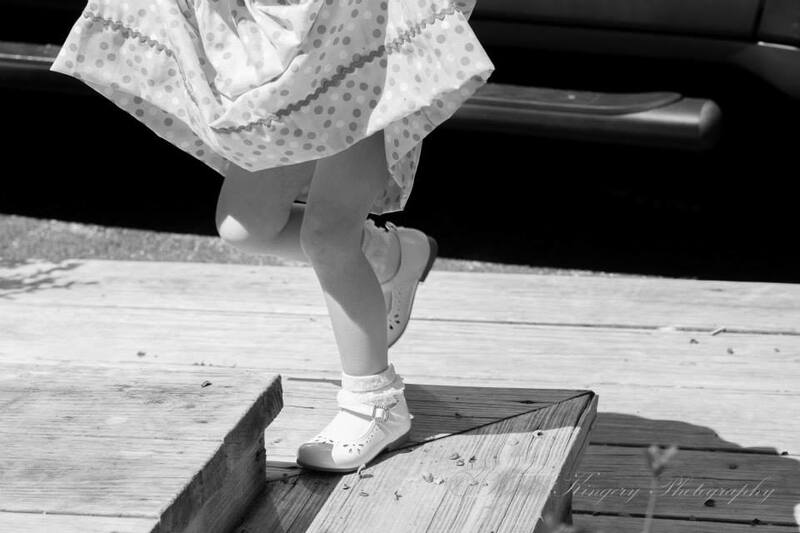 “Mama, Mama!” Little Isabel called as she skipped on the bottom of the steps leading to the back porch. “I got a letter! See? Mr. Ratcliffe said it’s just for me!” Isabel said as she waved an envelope above her head. “A letter?” Isabel looked back to the mail man as the screen door squeaked and closed with a gentle clap. “Good morning, Mr. Ratcliffe,” Mama said as she reached for the mail. “Mornin’ Mrs. Greene, hope you don’t mind that I gave the little one her mail,” he said with a smile at Isabel who continued jumping. Mama returned with a pitcher of cold milk, two glasses and a plate of cookies. “Why are you walking in this heat? I noticed you didn’t come in the horse and wagon.” Mama said as she poured a tall glass of milk for the mailman and a small pewter cup for Isabel. Each took a cookie and smiled at each other as if sharing a special treat. Papa accepted a glass of milk from Mama and sat in the wicker chair facing the guest. “I can give it a try. Lets have a few of those delicious cookies first though,” Papa said with a smile and drank the milk in one gulp. “Funny Papa!” Isabel said, “Your mustache is drinking milk too.” Papa smiled and wiped his mouth on the sleeve of his shirt. “Look what I got, Papa. I got mail!” Isabel said as she started to jump for joy. Isabel’s smile began to fade. “Who is it from, Mama?” Isabel said as she watched Mama carefully open the envelope. “Lets read the card and see,” Mama said as she sat on the remaining white wicker chair and pulled Isabel onto her lap. Mama read the poem on the card and read a note inside. Just bring a smile and your baby sister too. We are looking forward to having tea and cake with you! “Oh boy, we’re going to a tea party, we’re going to a tea party!” Isabel sang as she ran around the yard. Suddenly, she stopped and turned to Mama. “A wonderful occasion,” Mama said with a smile. “After dinner, we will have a practice tea party, and you may use a real tea cup. We will celebrate Sally Anne’s fourth birthday so you and I will make a special gift for her. Won’t that be fun?” Mama smiled as Isabel vigorously nodded her head. “Four,” Isabel said as she recounted her fingers and smiled. “Tea Party is on Thumpkin day!” Isabel said to Papa and Mr. Ratcliffe who smiled and ruffled her hair before turning to hitch the buggy to Papa’s horse. “Thank you for my in-inv-a-mail!” Isabel shouted at the buggy turned out of the yard. Isabel skipped ahead and opened the screen door. “I like tea parties!” Isabel said with a smile. 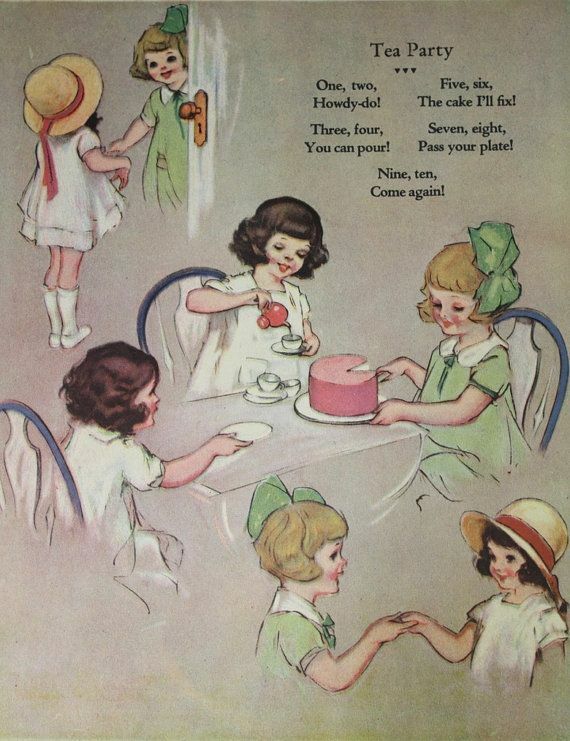 I can just imagine the excitement Isabel and her friend Sally Anne must have shared as they waited for the day of the tea party. Mrs. Albright and Cookie’s excitement must have rivaled the children as they planned the tea party. You can read more about Isabel in the novel, The Vision of a Mother’s Heart which was inspired by my grandmother, Isabel’s childhood. Set in rural Virginia in 1924. The Little Isabel stories would of course have taken place around 1917. As of this month, the real Isabel would have been 100 years old. 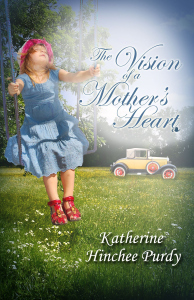 To commemorate Isabel’s birthday, we are reprinting The Vision of a Mother’s Heart through Create Space and have it published as an e-book. It should be available on line soon! I saw the following recipe on Pinterest and thought it would be amazing for a child’s tea party.